2018 has come to an end. It is a of a time when we are saying or said goodbye to the following staff. Dr Amelia Toffoli, Mrs Jill Hafekost, Miss Vanessa Daily, Mr Ray Andrew, Mrs Cherie Hess, Mrs Pip Thompson, Mrs Deb Needham, Mr James Elder and Mrs Erin Chiappalone (who is on maternity leave). We wish them all of the best as they enter a new and exciting chapter of their lives. 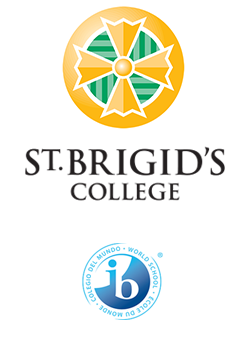 I can genuinely say, that your daughters have worked hard throughout the year with some students producing outstanding PBs (Personal Bests) in a variety of Learning Areas. 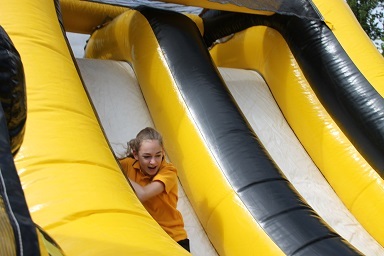 The last few weeks of the term have been chaotic with retreats, exams, finalising assessments, tests and socials. 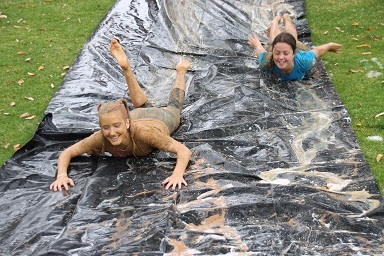 The Year 12s finished their WACE exams, and they were all certainly very excited after their last exam. Results will be available Monday 17th December. The Year 11s started the first of four Year 12 Course units before they finished for the year. They were also organising themselves for their MIA MAD Ball in February 2019 – dresses, makeup artists, hairdressers and of course, their mode of transport to the ball. It is good to see that they have got their priorities right! Year 10 girls have been working hard towards their final exams as well as finalising their 2019 subjects and Peer mentoring programme. 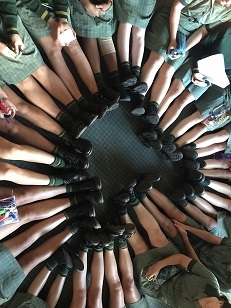 While they were waiting outside the exam room, I was able to capture a moment where the girls sat in a circle with their feet in the middle and went from girl to girl saying positive things about the person beside them. It is this kind of positive and inclusive spirit that all of the girls show at school. 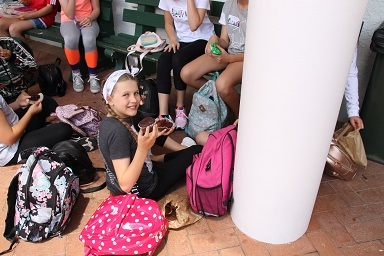 Year 7-9 students all had their Retreats this week where they had the opportunity to participate in a variety of activities including the always popular and restful meditation. The Year 7s stayed at the school for their Retreat and participated in a variety of activities during the day that gave provided time to reflect with God and each other as they shared with others the things they enjoyed in Year 7. The Year 8s Retreat was held at 24:7 Youth Ministry group in Osborne Park. The girls participated in a personal journey titled ‘Stewards of Creation’. 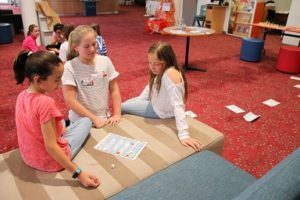 Each activity was designed to help students reflect upon their lives and to know where and how God is calling them to live. It gave the girls the opportunity to recognise the presence of God and to give thanks for the many gifts and talents they have. The Year 9s went to the Redemptorist Monastery Retreat House in North Perth. Here they participated in a personal journey titled ‘Trust the Voice Within’. 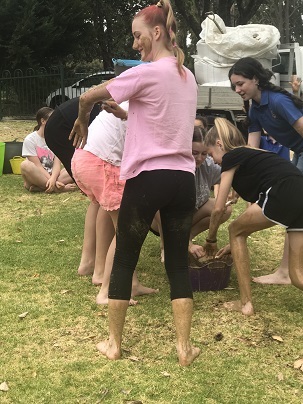 The Year 7 s Messy Mud Day was certainly very enjoyable – we saw and heard the girls having lots of fun with clean, sticky, brown mud. According to one young lady ‘Why don’t we play in mud more often?” While the Year 7s were having fun getting dirty, the Year 8s were Rock Climbing. This provided the young ladies with the opportunity to take a risk and to step out of their comfort zone and learn the art of Rock Climbing in a safe environment. The Year 9s held their activity day where they used the skills they had learnt throughout the year during their PE class, plus abilities they have acquired at home to play Volleyball, Ultimate Frisbee, Novelty games (mixed shoe pile race, tug-of-war, water balloon toss), Obstacle Course and Yoga. A great day out of the classroom for the girls. 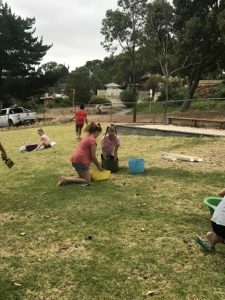 They were a little bit hesitant at the start, but then they all participated and let’s say some of the girls are very competitive when it came to the water balloon toss. 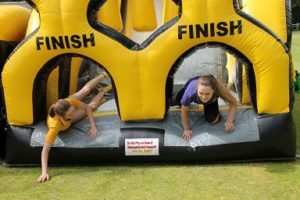 Staff also enjoyed joining in with the activities. It was great to see the new students for 2019 attend Orientation day on Friday, November 23rd. 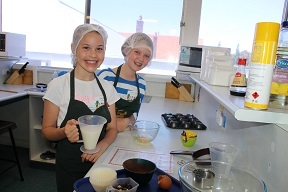 The students made Choc Chip muffins, did some Science experiments and played icebreaker games. The day finished off with a Treasure Hunt around the College with prizes at the end for each House. I wish all of our family members a safe and Merry Christmas and a Happy New Year. We look forward to meeting new family members in 2019 as well as catching up with everyone else. The girls start school on the 5th February 2019.